The oldest festival of its kind in the Northeast, the Mystic Outdoor Art Festival attracts close to 100,000 people from New England and other areas of the country to our region during this two day event. 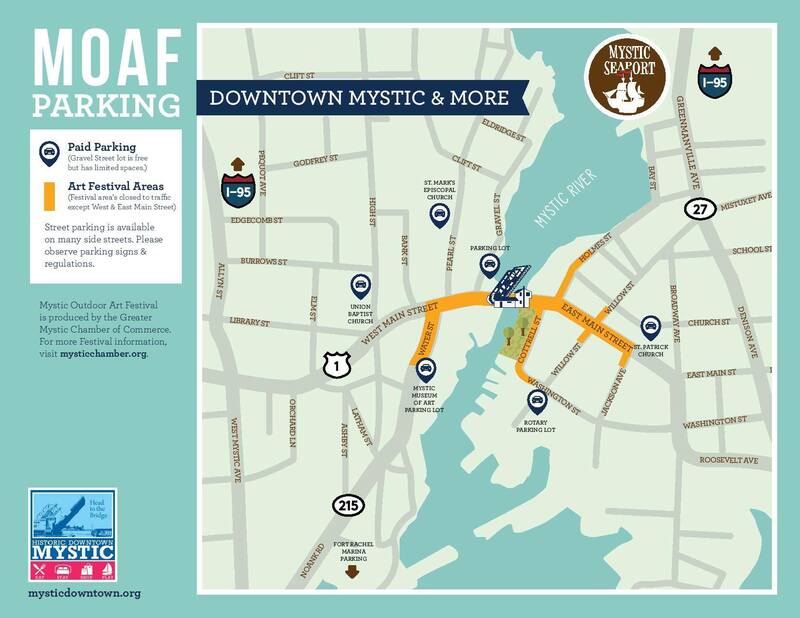 The festival showcases over 250 artists and stretches over two miles in the heart of Historic Downtown Mystic. The event is free of charge and there are activities for all ages, including a Children’s Art Park. Area nonprofit organizations offer food and drink for sale to raise money for their organizations, making this a great community event. Hosted by Greater Mystic Chamber of Commerce. Be sure to visit Grace Marques, leather and jewelry artist at booth 558 near the park on Cottrell St. Amazing cuffs, bracelets, necklaces and pocket books all handmade.